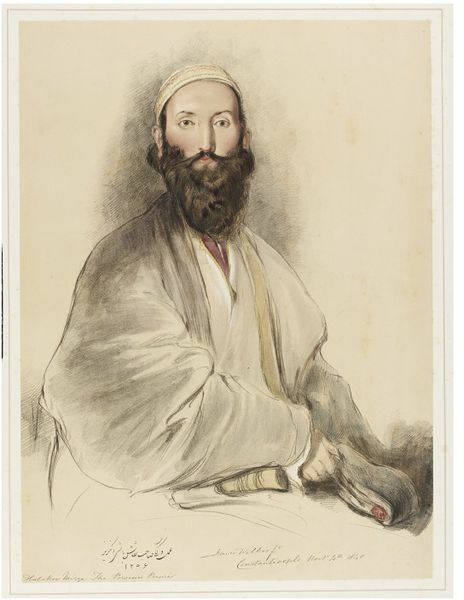 Hand-coloured lithograph from a volume of plates (26) after sketches by the artist made in Turkey, Syria and Egypt. With key (one sheet). 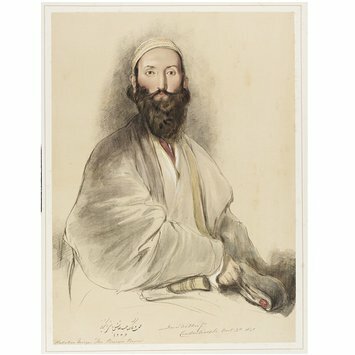 Unbound, in publisher's portfolio, red imitation morocco cloth boards, crimson morocco spine; crimson morocco label on front lettered in gilt within gilt rules Sir David Wilkie's / Oriental Sketches, 1843. 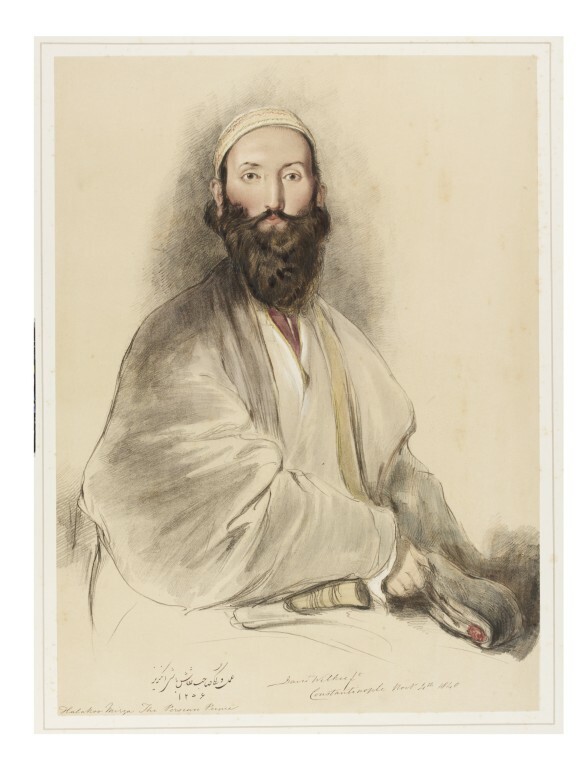 Hand-coloured lithograph by Joseph Nash, entitled 'Halakoo Mirza The Persian Prince', after a drawing by Sir David Wilkie from a volume of plates (26) entitled 'Oriental Sketches In Turkey, Syria & Egypt'. British School, 1840 & 1841.